When I have left over scabs from acne I press a warm wash cloth to it 2x a day to try and get it to fall off. It's most likely going to leave a red mark behind that will fade in time. Be gentle to your skin until then. I learned very quickly that my only real medicine was time unfortunately. when it heals up, do some research on post acne marks. there is ways of getting rid of red marks and smoothing out skin. 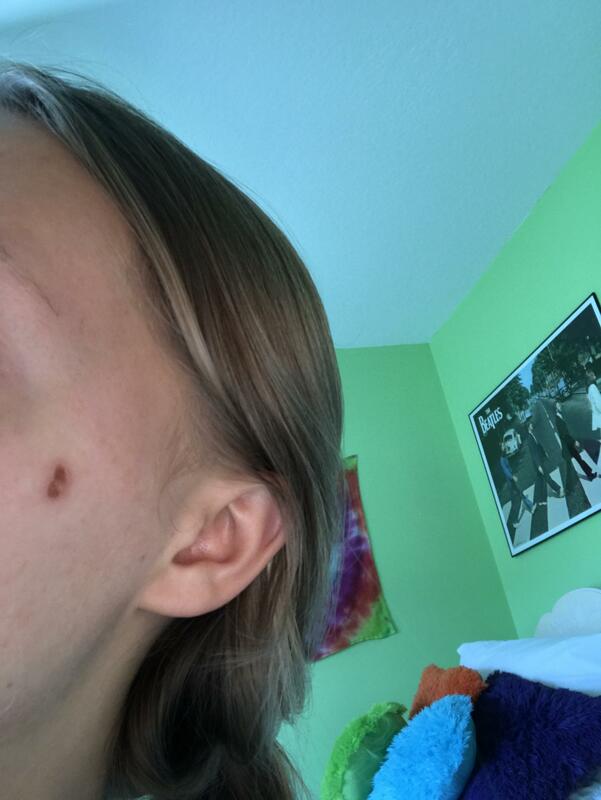 Try to not squeeze or pick spots,this is what causes scabs and leads to scarring.if you leave a zit it will come to an head,that head will make its way to the top layers of your skin,this is basicly dead skin.that skin will rupture and then the contents of the zit will empty out,if it bleeds it most likely will scab but should be small,if it dosnt bleed no scab will form as the layer it ruptured through is dead so cant scab. the skin deals with whiteheads and zits etc in its own way.